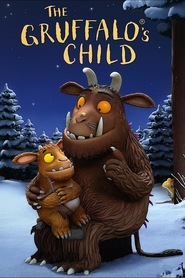 A follow up to the 2009 animated feature and adapted from the childrens' book by Julia Donaldson & Alex Scheffler. The Gruffalo's child explores the deep dark wood in search of the big bad mouse and meets the Snake, Owl & Fox in the process. She eventually finds the mouse, who manages to outwit her like the Gruffalo before!